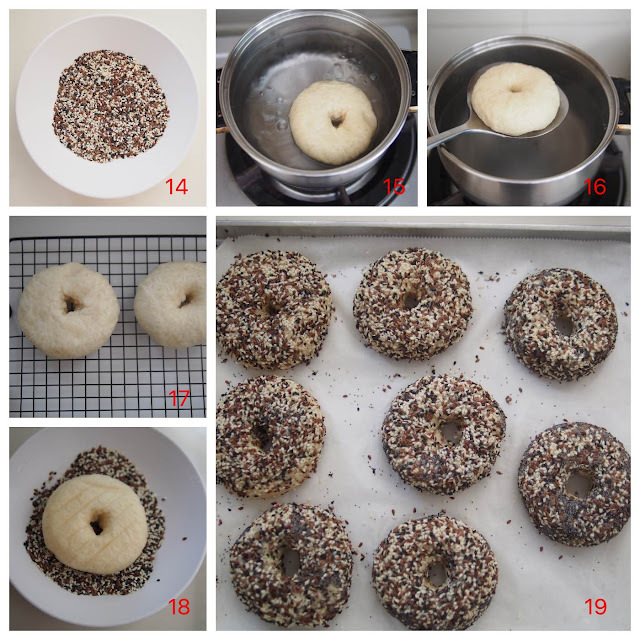 Several years ago, I tried to bake bagels using a straight dough method. Unfortunately, it was not very successful as the texture was very dry the next day. 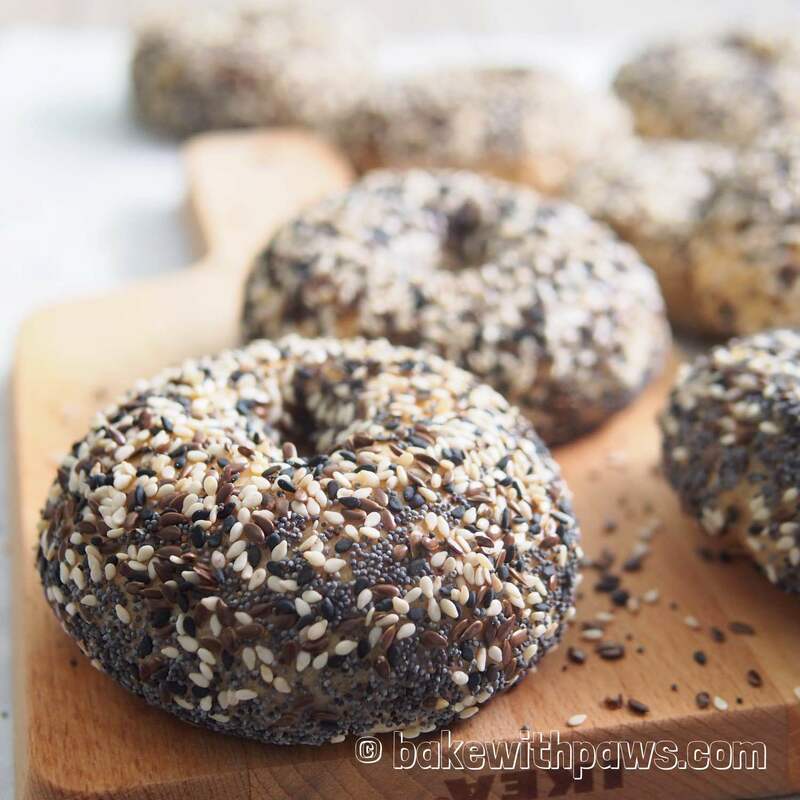 I haven't attempted bagels again since. Lately, I discovered this recipe from Serious Eats using the Yukone method (also know as tangzhong). As I researched online, Yukone in Japanese means adding a separately-prepared gelatinised dough to the remaining dough mixture during the dough-making process. 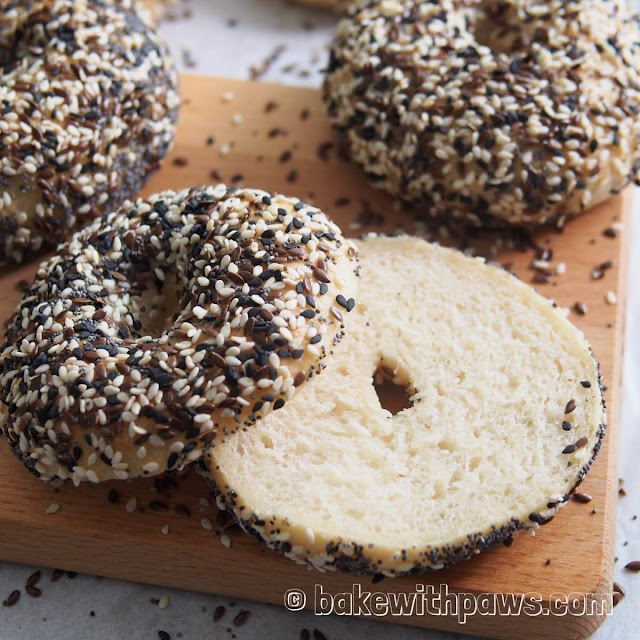 The resulting texture of this bagel is chewy, moist and it stays good for a few days. Bagel supposed to be chewy. 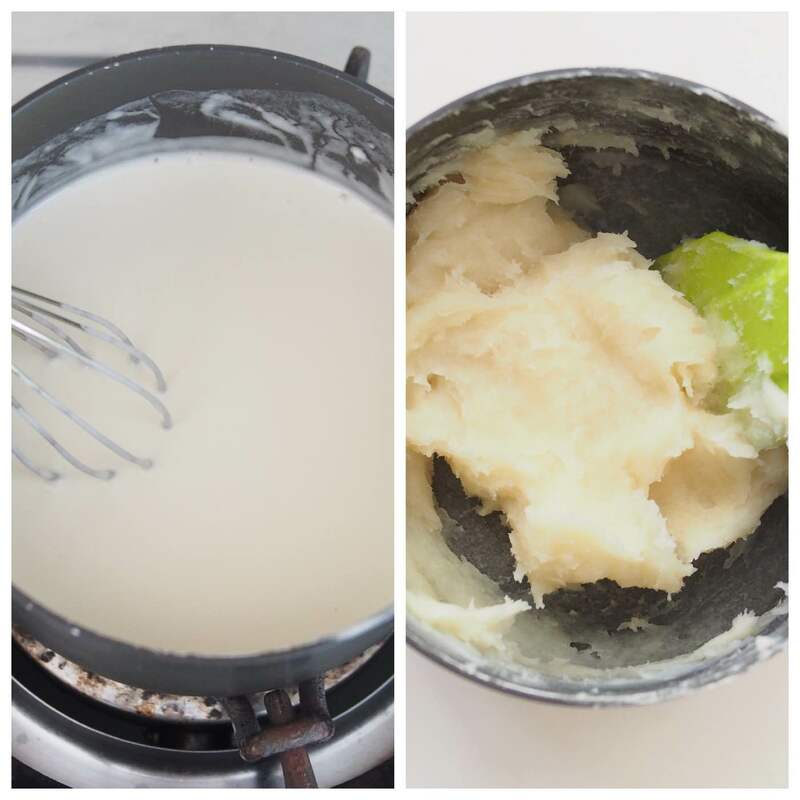 Cook over medium-low heat, stirring consistently until the mixture becomes thicker. The dough will be very sticky and thick. Remove from heat and transfer to a clean bowl to let it cool to room temperature. In a bowl of stand mixer, combine bread flour, yeast, sugar and yeast. Add water and Yukone dough. Using the dough hook on a stand mixer, knead until the dough comes together, become elastic and tacky but not sticky. Tacky dough behaves sort of like a Post-it note, sticking to a surface but peeling off easily. It takes around 12 - 15 minutes at medium speed. Let it rise in a warm place for 75 minutes or until double in size in the same mixing bowl, covered with cling film or kitchen towel. 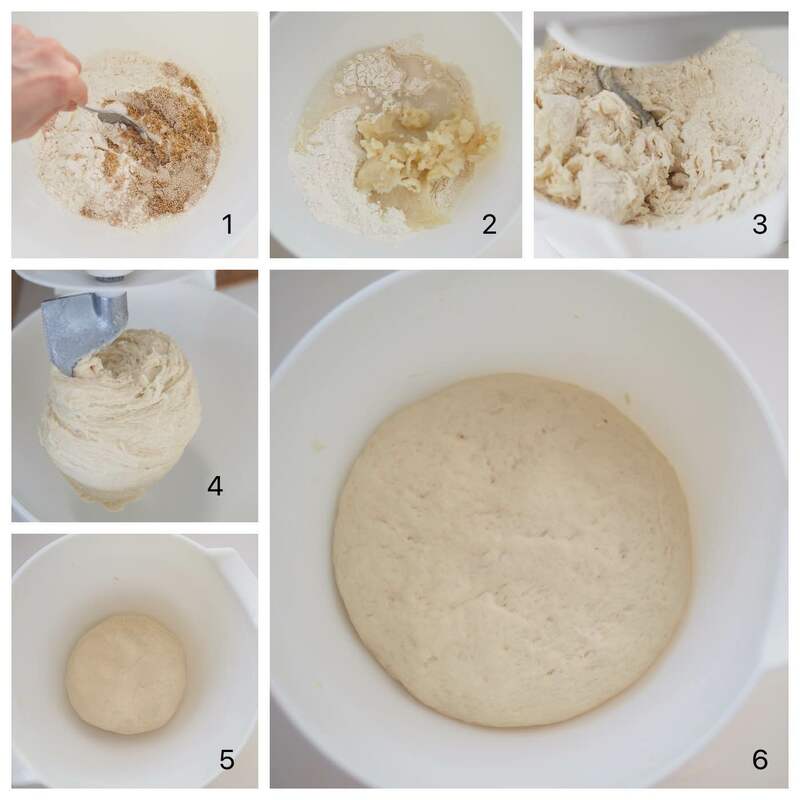 Punch down the dough and divide into 8 portions. Roll each portion into a ball. Cover with kitchen towel and let it rest for 15 minutes to relax. Make a hole in the center of each ball using finger. Stretch the hole with your fingers to make it larger. Place into a lined baking pan with parchment paper. Let it proof for another 45 minutes or until double in size. Combine all the seeds and keep aside. Boil a pot of water and bring to simmer. 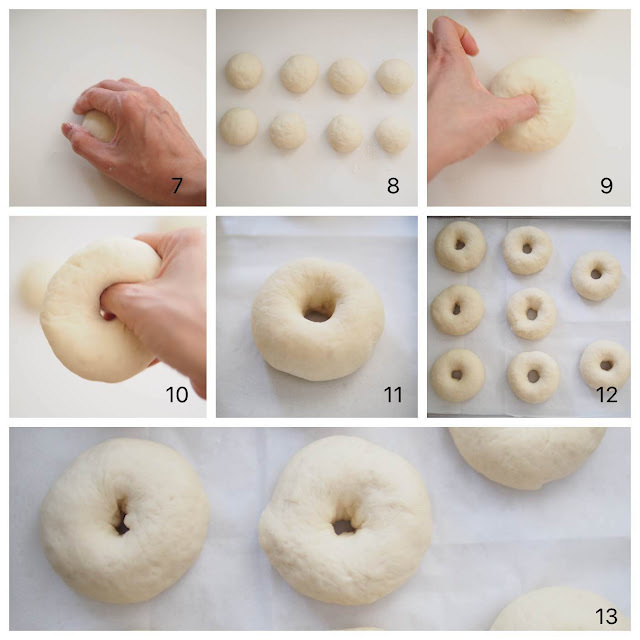 One by one, blanch the bagels for 30 seconds on each side. 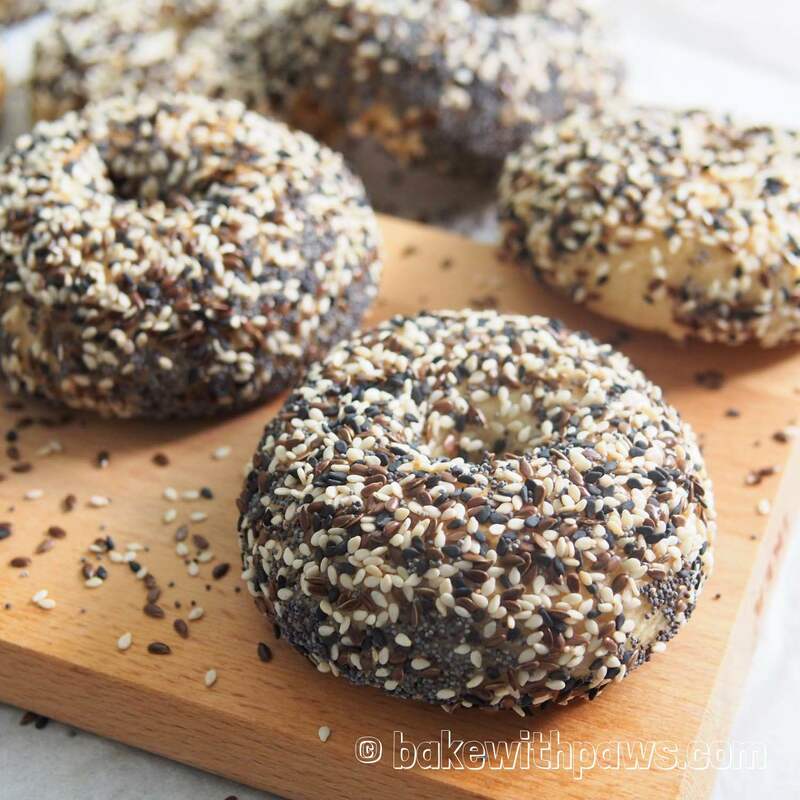 Dish out the bagel and drain on a wire rack. Immediately coat one side of the bagels with seeds. Place back on the lined baking tray. Bake in a preheated oven (190 C) for 20 - 25 minutes. Remove from the oven and transfer onto a wire rack to cool. Just toast it before eating after the next day.